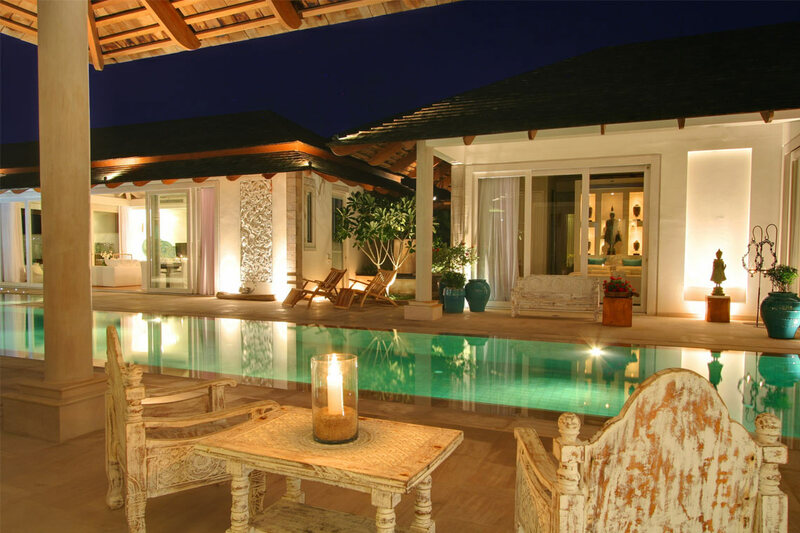 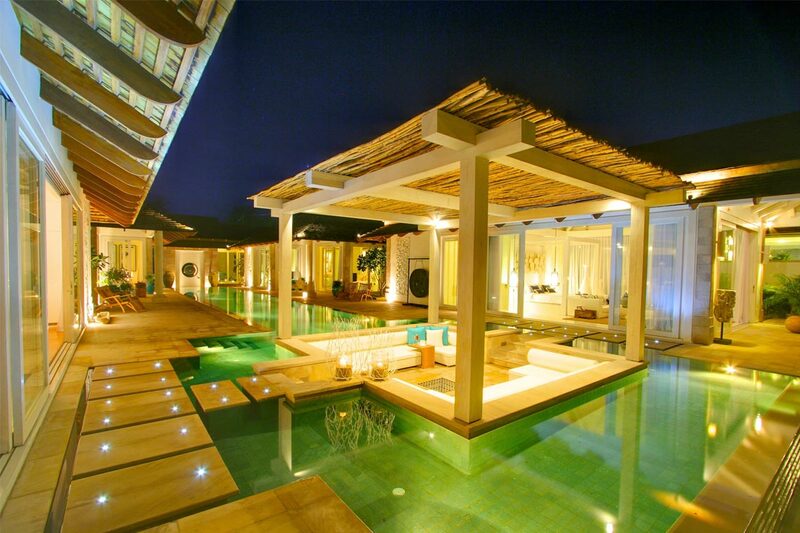 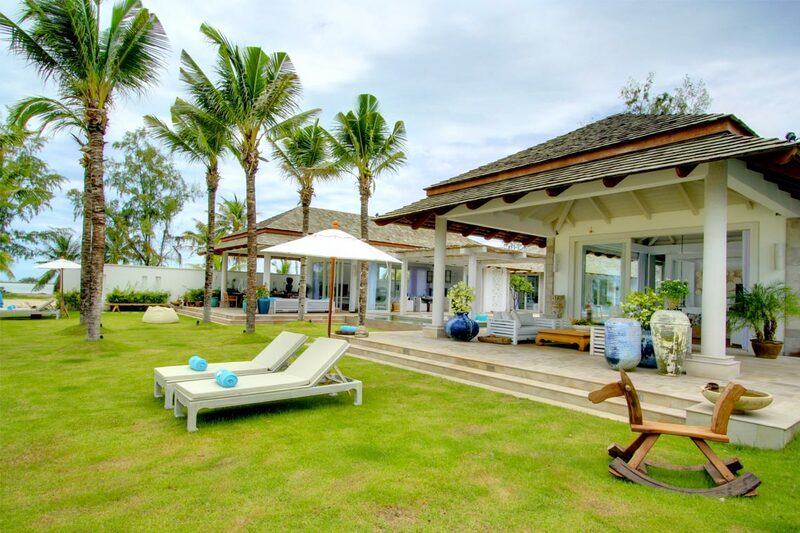 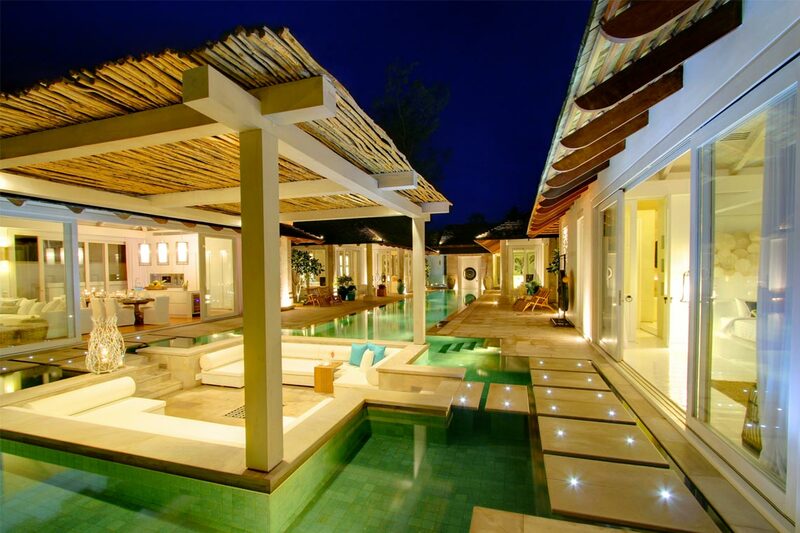 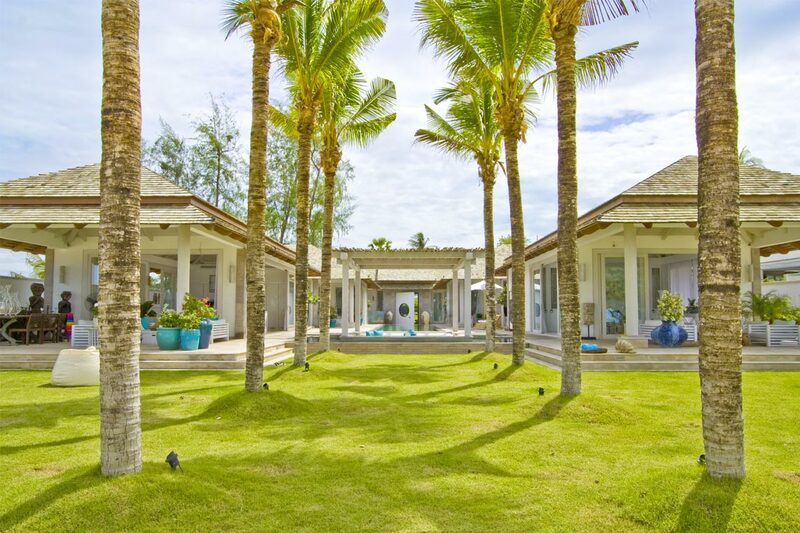 Villa Amanzi is located on the beach of Chaweng Bay on the famous island of Koh Samui. 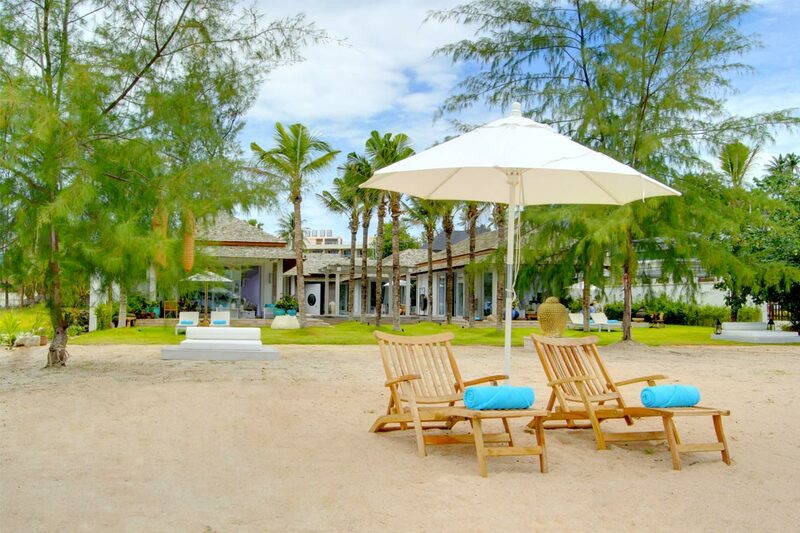 A 2-minute ride by car will get you to the center of Chaweng and its famous nightlife scene. 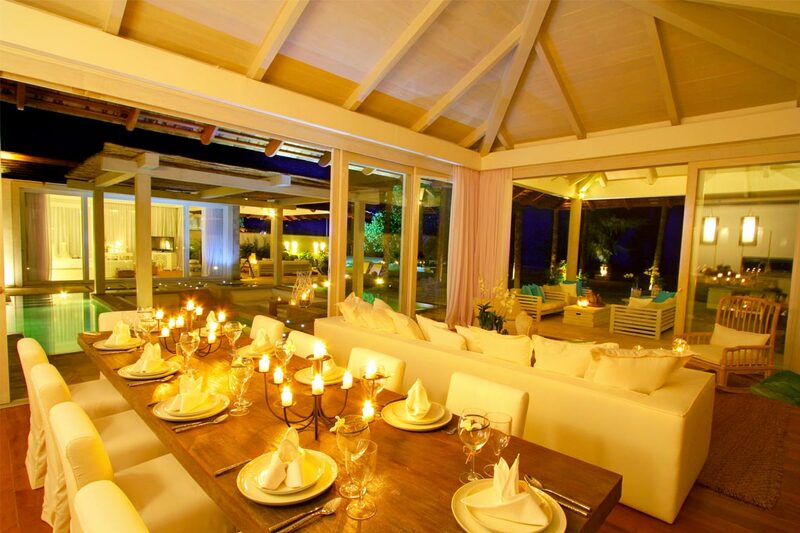 Before a night out you'll want to try one of the excellent restaurants in the area. 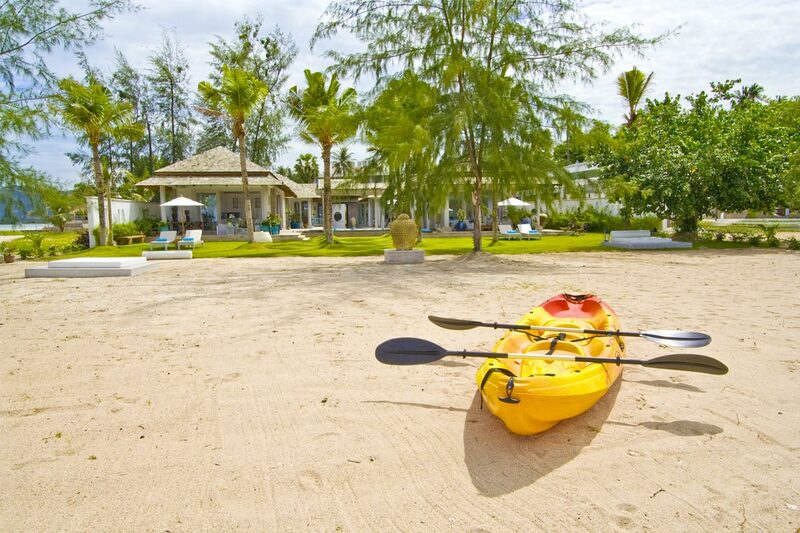 Chaweng is also the epicenter of entertainment and sporting activities. 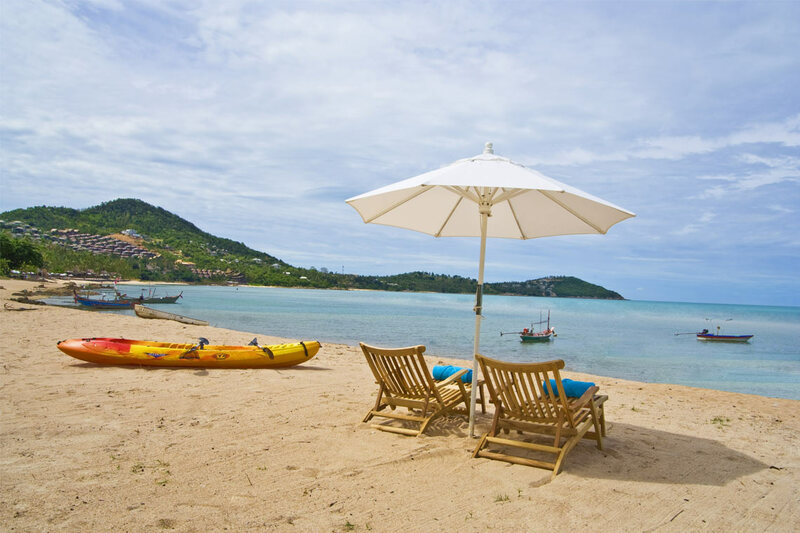 If you want to stay close to home, snorkeling around the island of Koh Matlang is only a short kayak ride away from the villa and Chaweng Beach is just a few steps out the door. 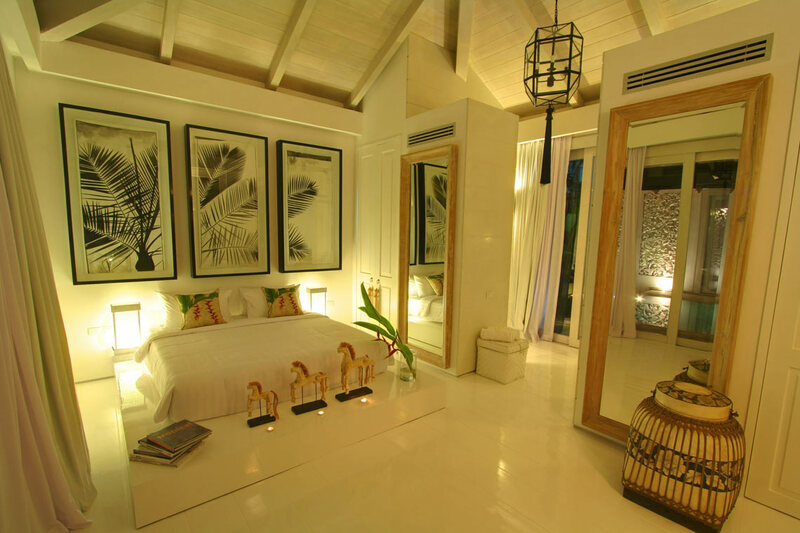 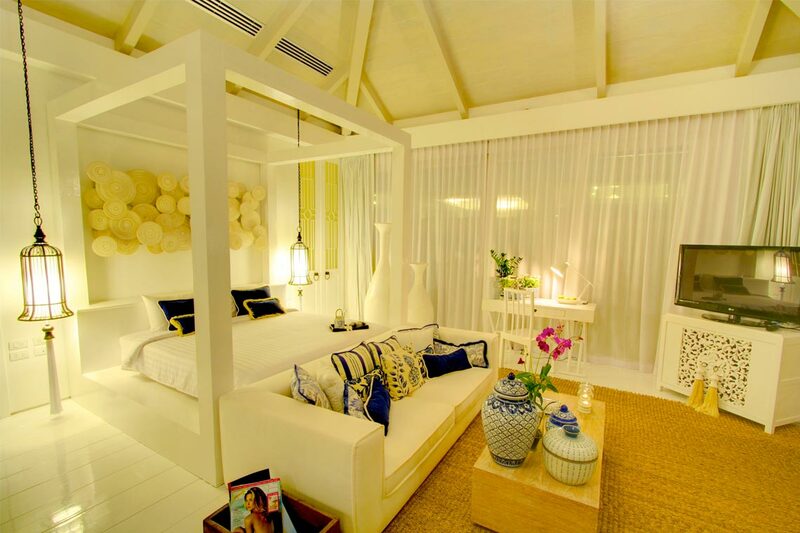 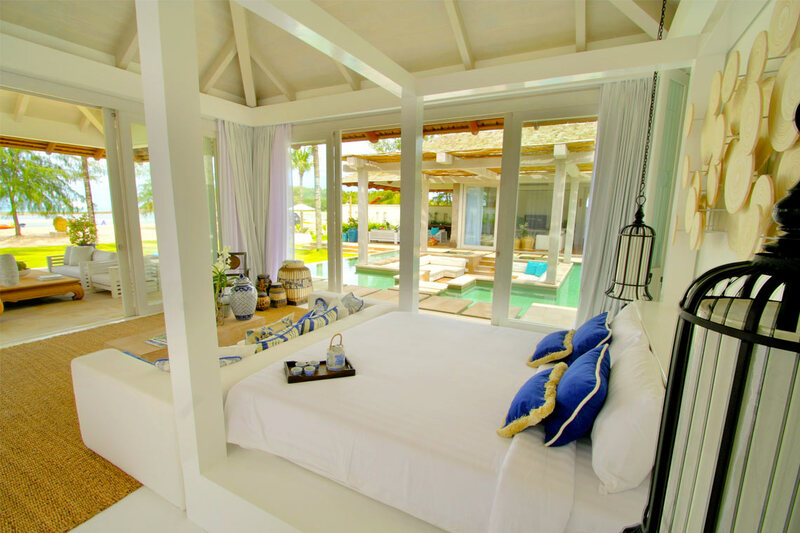 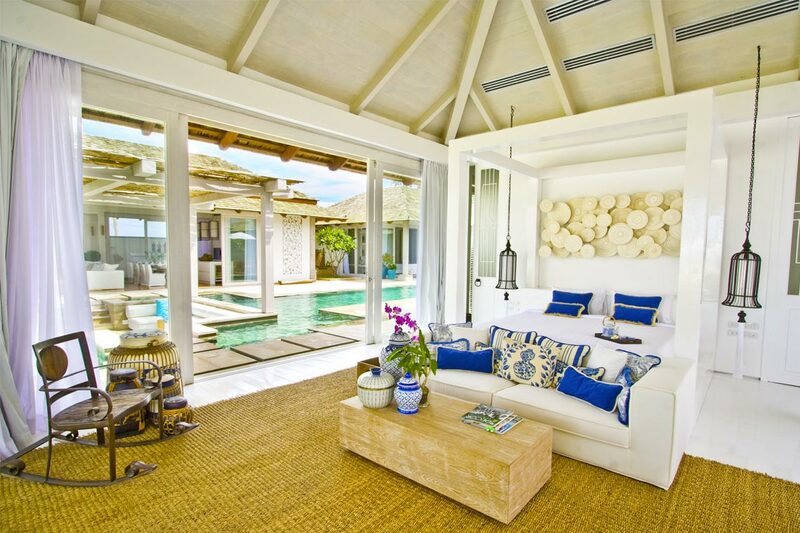 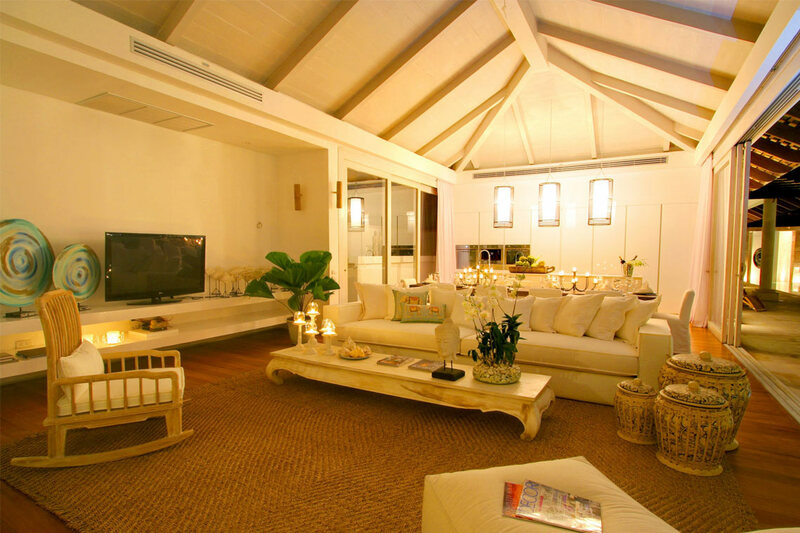 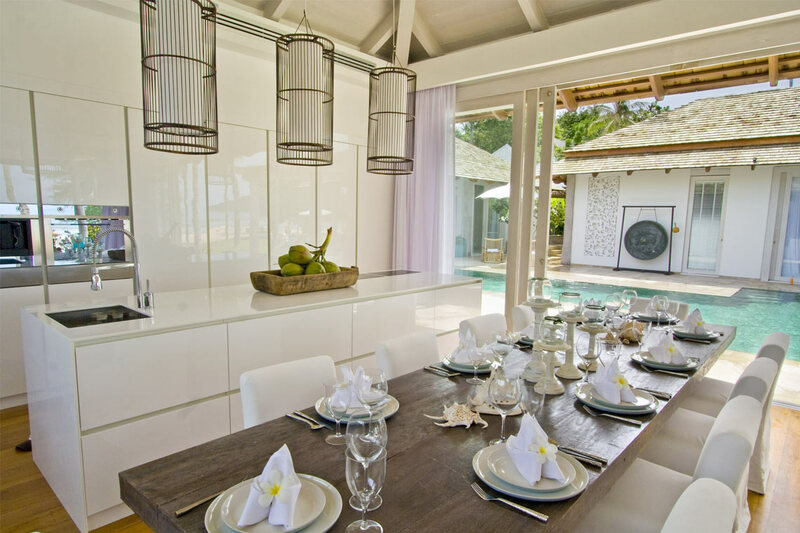 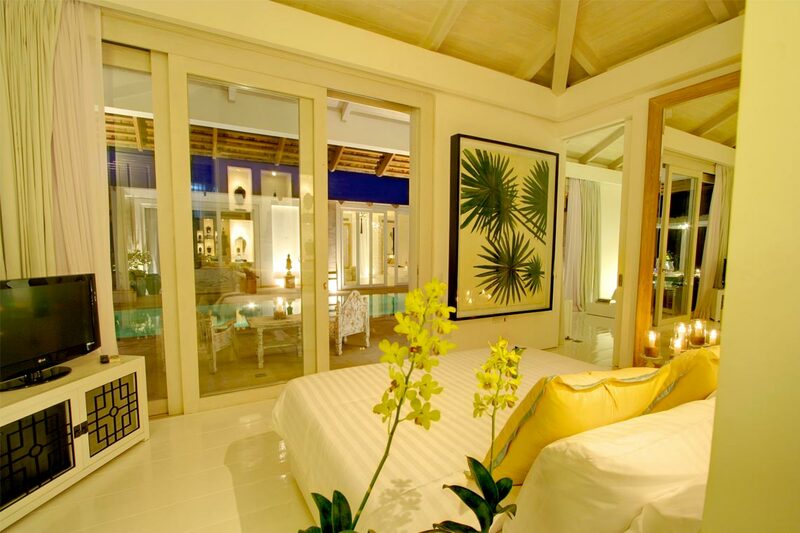 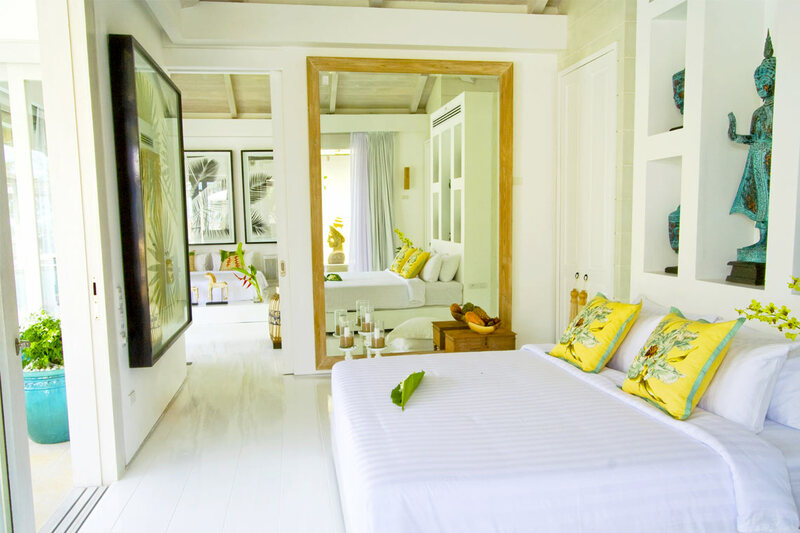 Each room features high white ceilings and slide-away glass walls that make a light, bright and beachy atmosphere throughout the entire villa. 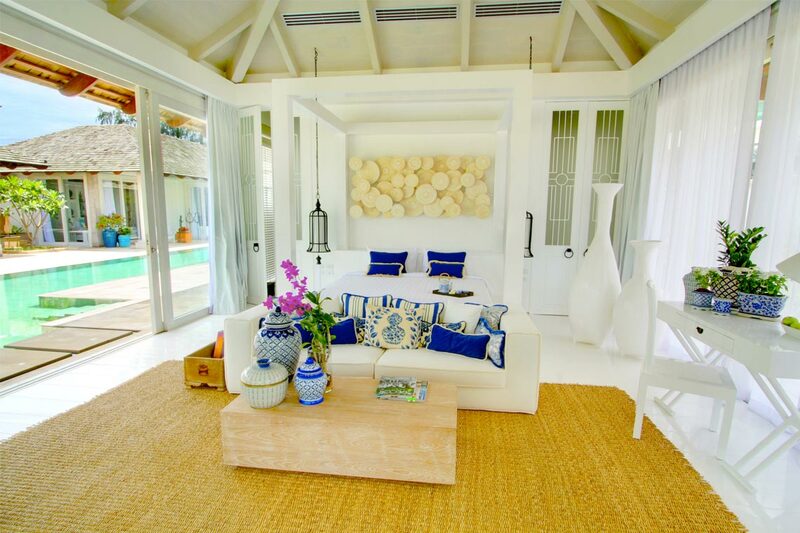 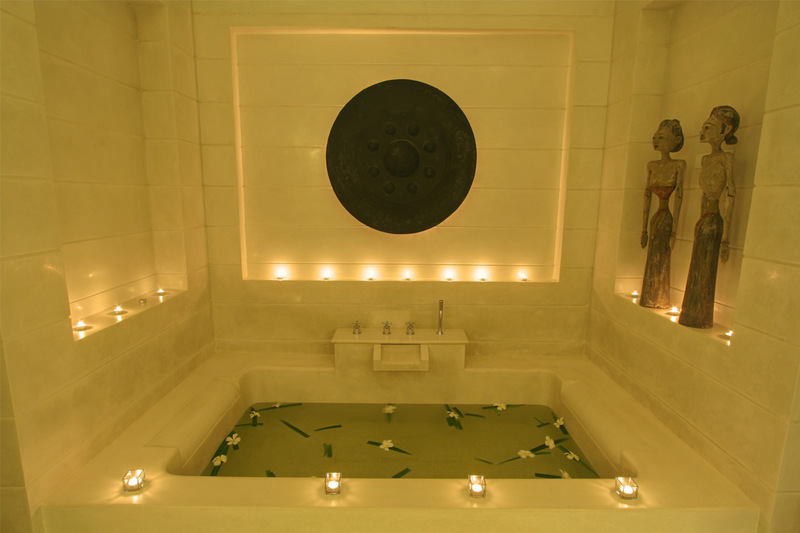 There are accents in various shades of blue that complement the white, creating a comfortable ambiance. 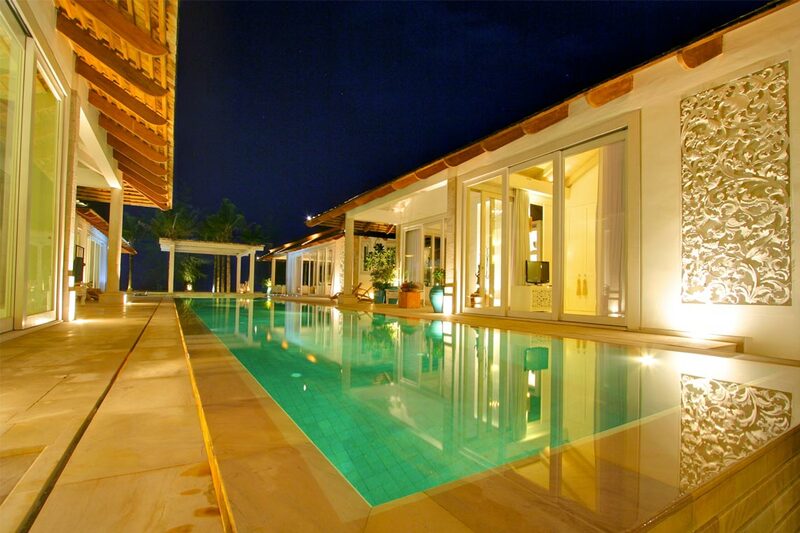 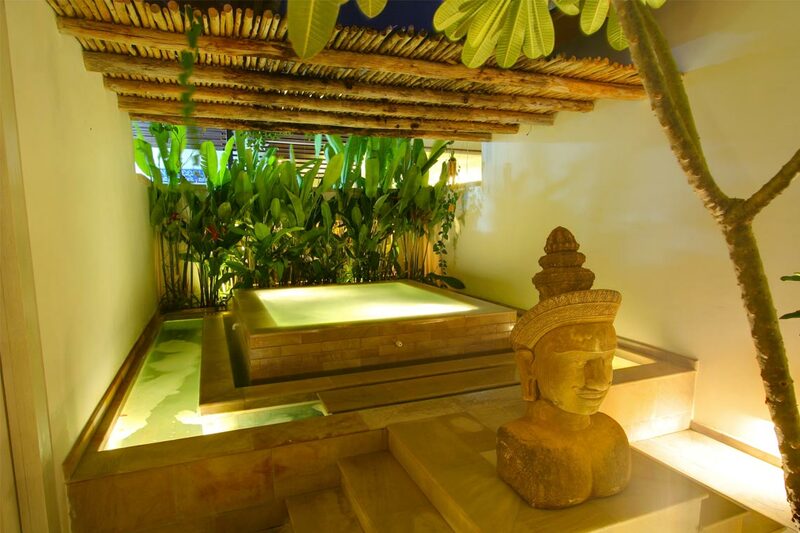 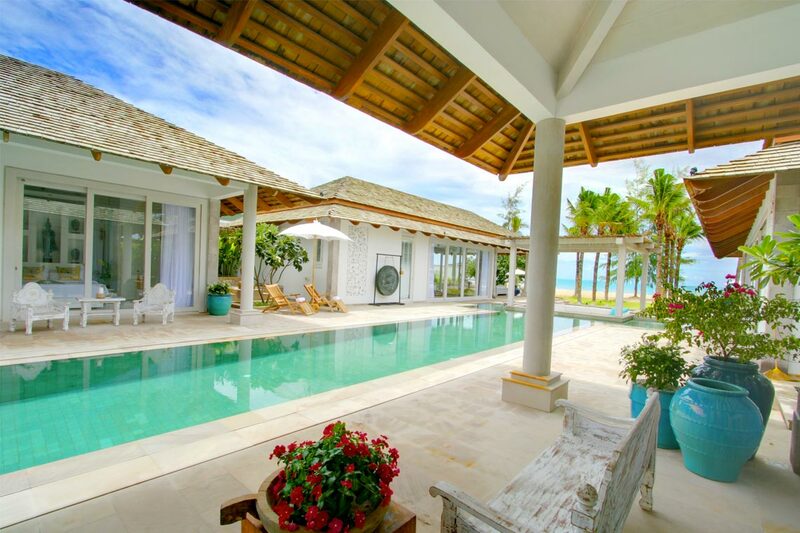 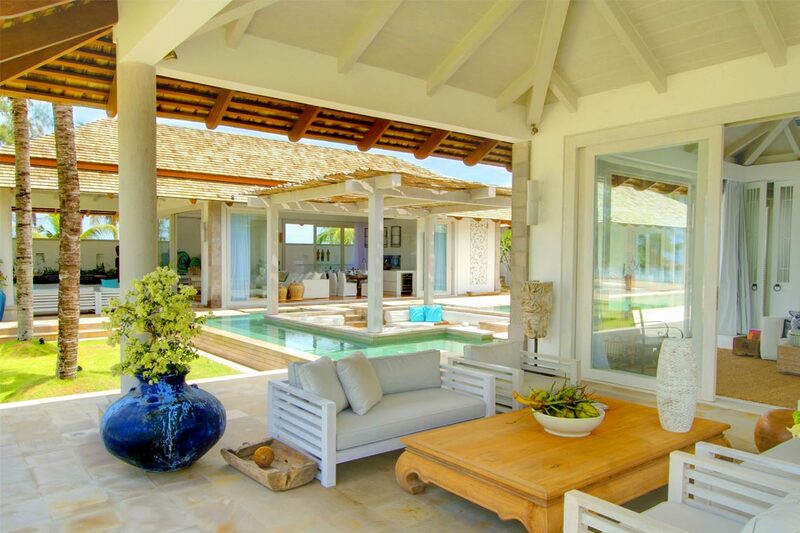 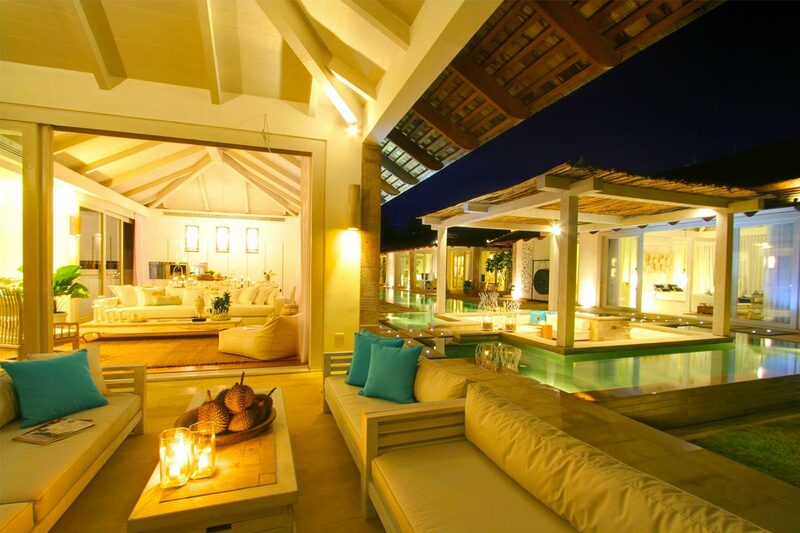 The entire villa is built around the infinity edge lap pool and each room has pool and beach access as well.